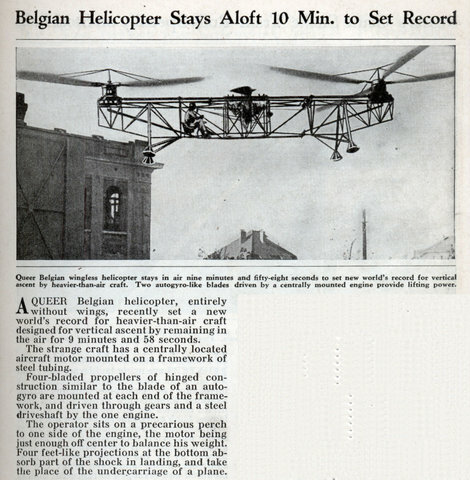 A QUEER Belgian helicopter, entirely without wings, recently set a new world’s record for heavier-than-air craft designed for vertical ascent by remaining in the air for 9 minutes and 58 seconds. 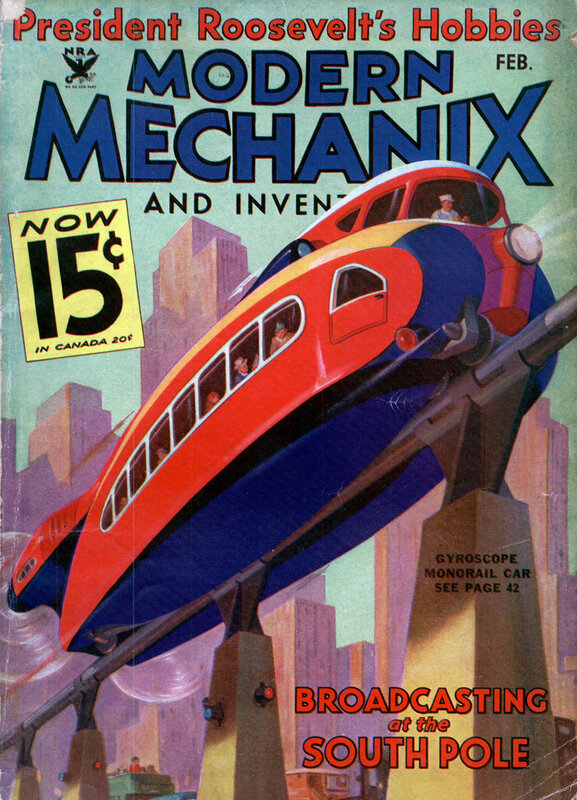 The strange craft has a centrally located aircraft motor mounted on a framework of steel tubing. 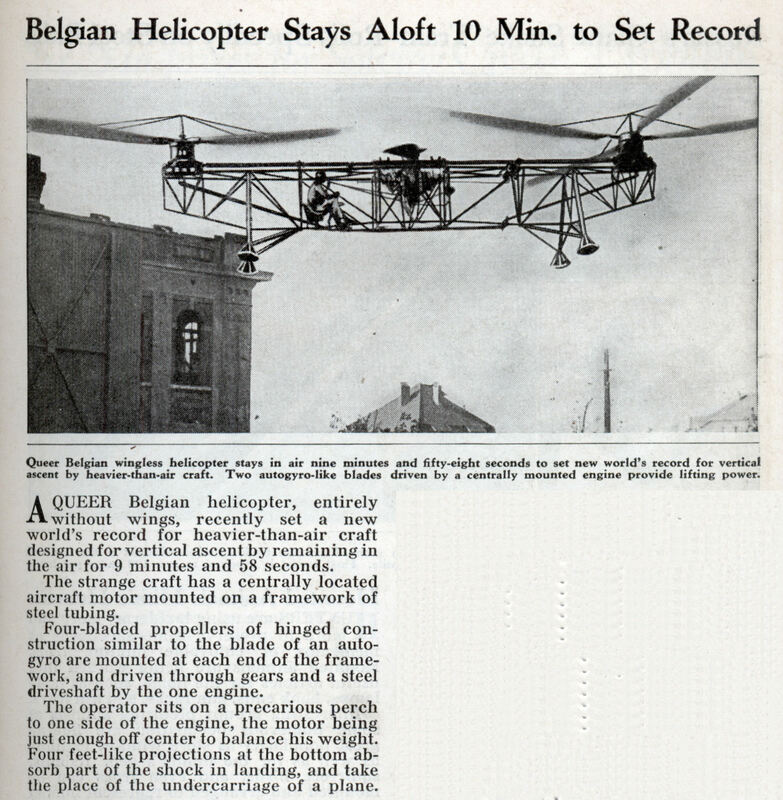 Four-bladed propellers of hinged construction similar to the blade of an autogyro are mounted at each end of the framework, and driven through gears and a steel driveshaft by the one engine. The operator sits on a precarious perch to one side of the engine, the motor being just enough off center to balance his weight. Four feet-like projections at the bottom absorb part of the shock in landing, and take the place of the undercarriage of a plane.